Molybdenum is a hard, gray metal, atomic number 42, that is chemically similar to tungsten and is used for some of the same purposes. It is also used in high-strength steels and to improve the hardness of low-carbon steels. 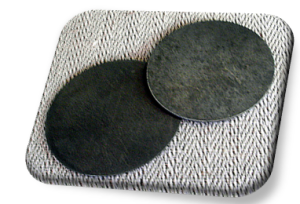 The latter is useful for producing weldable armor, although this technique was not fully developed until after the war. Tool steels contained up to 9.5% molybdenum. Molybdenum sulphide is a valuable high-temperature lubricant. Molybdenum is a byproduct of tungsten and copper mining and is moderately expensive ($0.69 a pound in 1941.) The most important source of molybdenum was the Climax mine in Colorado, which produced 66% of the world's output, while U.S. copper mines recovered another 28% as a byproduct. Japan's supply was extremely limited, but Japan stockpiled the metal prior to war and also substituted tungsten from China.